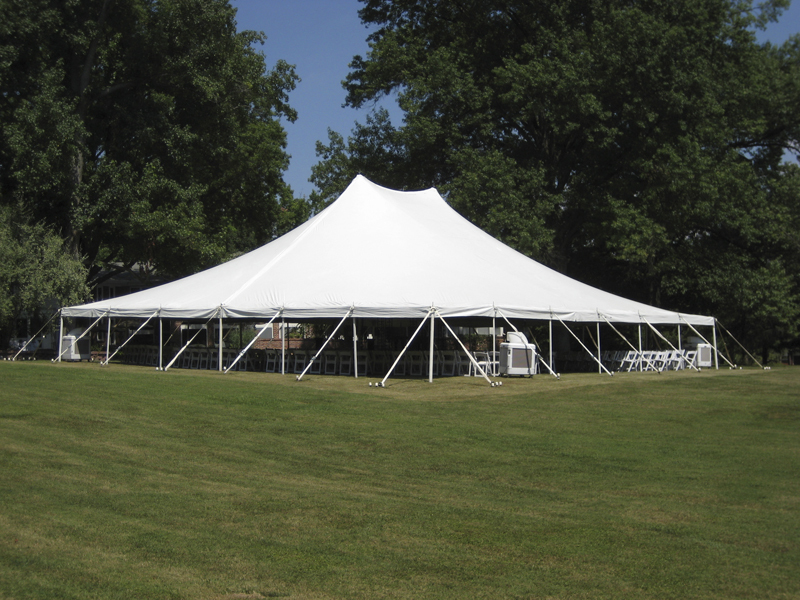 Things to think about when you are planning a Tented Event. Are there any overhead obstructions or underground utilities such as electric, water, sewer, gas, phone, etc in the proposed area? >>We recommend calling Dig Rite to ensure there is nothing underground a week prior to the installation date. Is there drive up access to the site? >>Some larger tents require that we be able to drive our vehicle(s) up to the site. Do you need a permit to install a tent on your property? >>Most likely, but we recommend calling your local fire &/or municipality for the most up to date permit requirements & code information. When measuring the proposed tent site; remember to add 10 feet to each dimension of the tent. This ensures that there is enough space to get the tent erected.